April 25, 2018, 5:03 p.m.
Land required to start /open a CBSE school or for securing CBSE affiliation depends upon factors including the type of school i.e. primary, secondary, senior secondary and location of the school within the country. 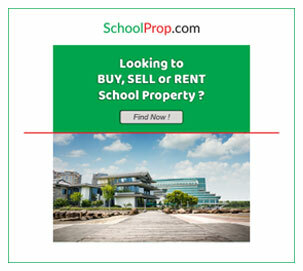 The land area needed for a starting a CBSE affiliated school is 8000 square meters (1.98 Acres). The school having land not less than 6000 square meters (1.483 Ares) may be granted affiliation provided the number of enrollments and number of sections is limited in accord with the Appendix-V.
For the schools located within the limits of Municipal Authority of the class-X cities Ahmedabad, Bengaluru, Hyderabad and Pune, the minimum land requirement will be 2000 square meters for a Secondary School and 3000 (or 4000) square meters for a Senior Secondary School subject to the restriction of optimum enrolment and number of sections given in Appendix-V. The minimum land requirement will be 1600 square meters for a Secondary School and 2400 (or 3200) square meters for a Senior Secondary School subject to the restriction of optimum enrolment and number of sections given in Appendix-V for the school located in the limits of Municipal Authorities of 4 metropolitan cities of Chennai, Delhi, Kolkata and Mumbai; State of Arunachal Pradesh; state of Sikkim and the Islands. The minimum land requirement for Secondary school and Senior Secondary School situated on the Hill Station is 2000 square meters and 3000 (or 4000) square meters respectively. Duly registered documents before the Registration Authority concerned of the State are required in the name of the school/trust/society/company. In case of the lease, a minimum term of 15 years is mandatory. Society/trust/company can get into an arrangement with another organization for sports & physical activities, such an arrangement should last for at least 5 years. The specifications of CBSE with respect to the classroom space mandate 1 sqm space per student. The strength of any given section of any given class must not exceed 40 students. The playground must be big enough to accommodate a 200 m track and there must be space for a volleyball court and outdoor sports like Kho- Kho and Kabbadi. For wheelchair users, the school must provide ramps in toilets and at entry/exit points and auditory signals in elevators/lifts in accordance with the provisions laid down in RPWD Act- 2016. The school must provide healthy and hygienic toilets on each floor with washing facilities for boys and girls separately. The toilets for the primary students should be provided separately. There should be separate toilets for staff members. Signage Boards should be displayed prominently on the toilets of all categories. Portable water, Health & Hygiene, fire safety, building safety, and transport precautions should be made available as per the local body directives. The schools that are applying for up gradation of affiliation or switch over must understand the stipulations of CBSE regarding the strength of the school and corresponding classroom area. For instance, a school from pre-primary to class XII wants to accommodate 1000-1250 students it would need 1000 sq meter of minimum classroom area and then commensurate playground and facilities. It will amount to around 1 acre. As the number of students increases the sections in a class will have to be increased given the maximum strength norms. Every school should have at least one adequately equipped computer lab with a minimum of 20 computers or computer student ratio of 1:20, along with proper software and cyber safety mechanisms. Wherever such facility is available, every school should have the facility of Broad Band Connectivity. It is to be noted that the school land should be contiguous i.e. it should be in one place. The land must be secured with a pucca boundary wall. Details listed under Chapter 4, CBSE Bye-Laws 2018. For assistance on any aspect of starting a CBSE school or obtaining CBSE affiliation, up gradation or CBSE switchover of an existing school, contact us.